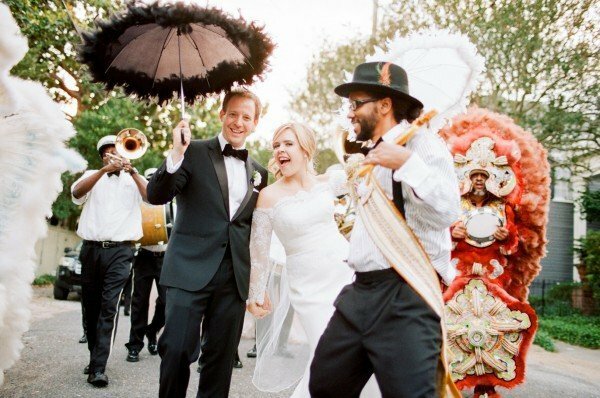 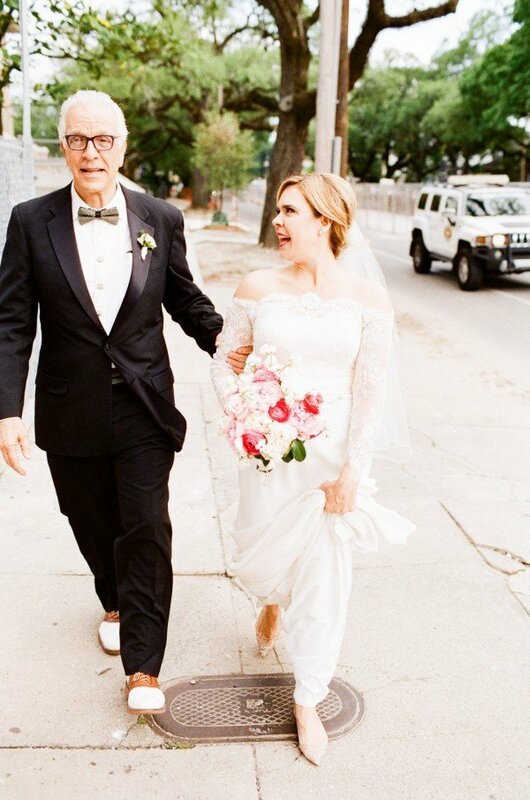 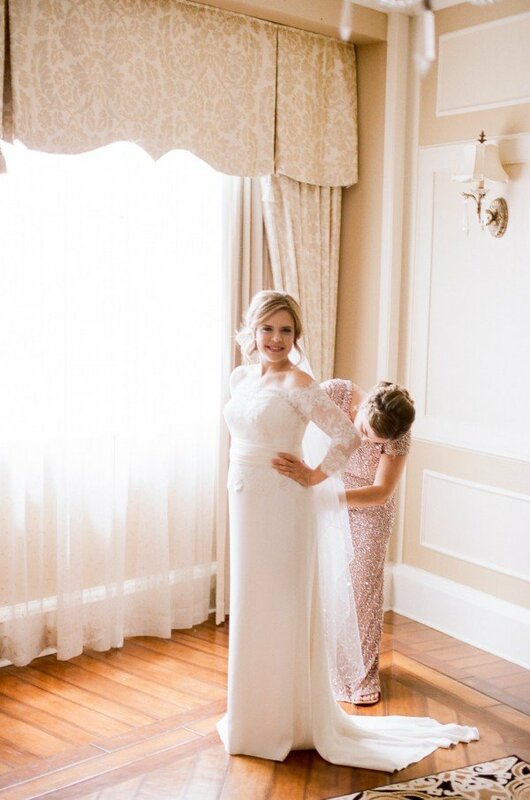 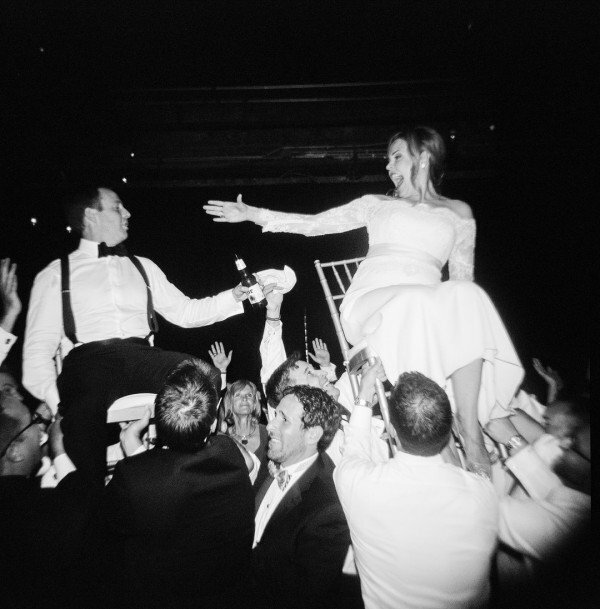 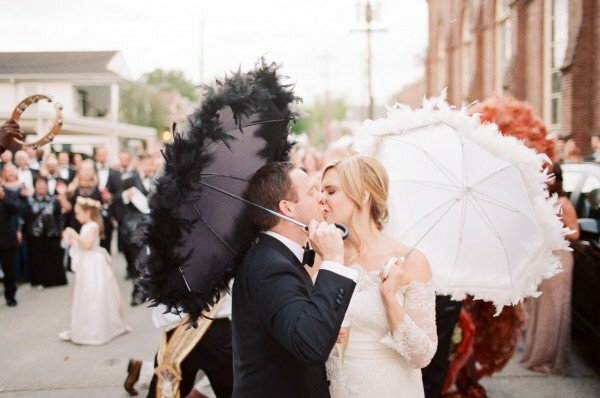 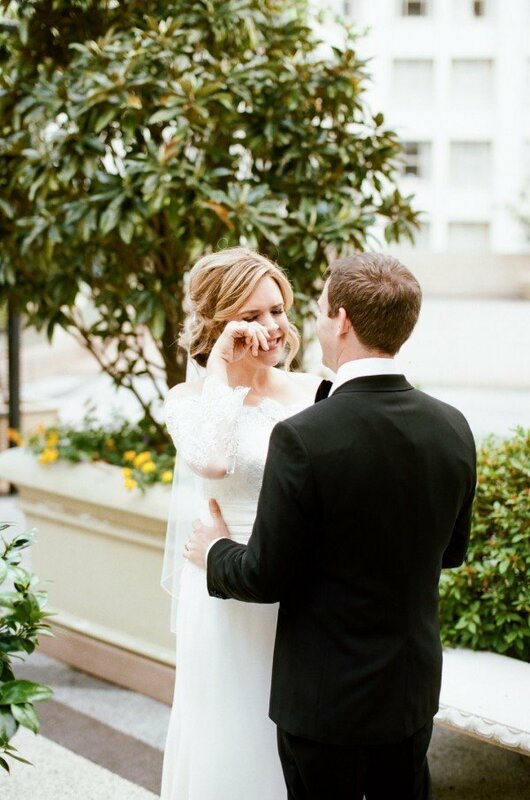 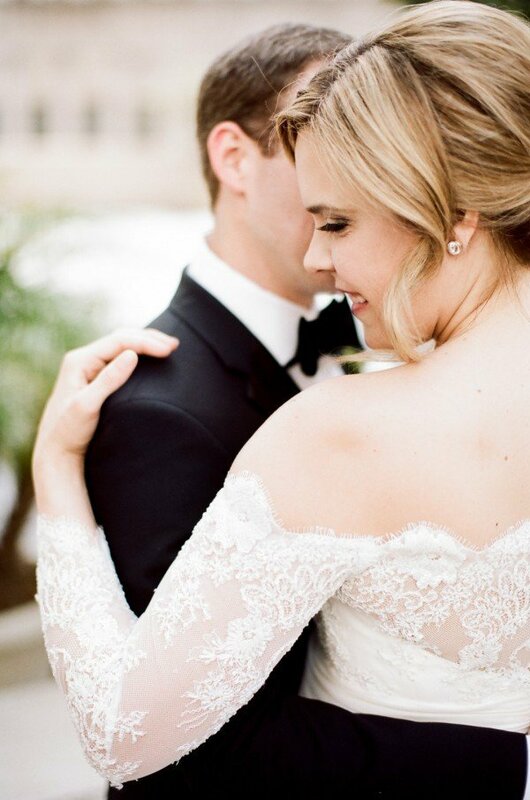 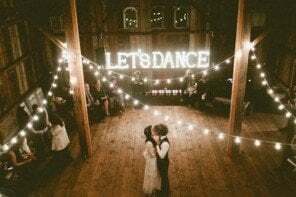 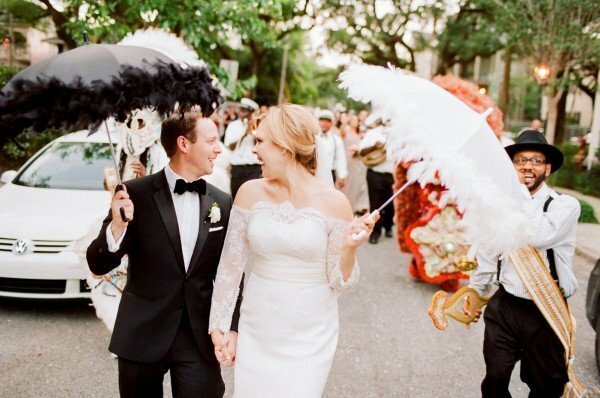 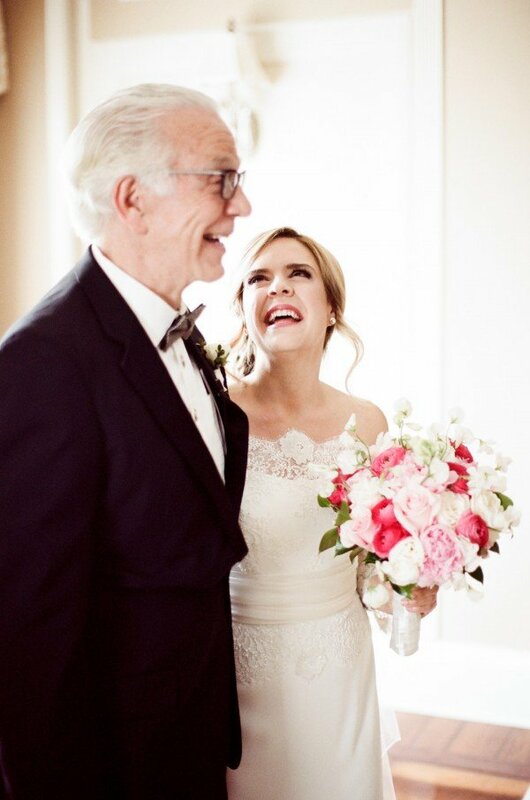 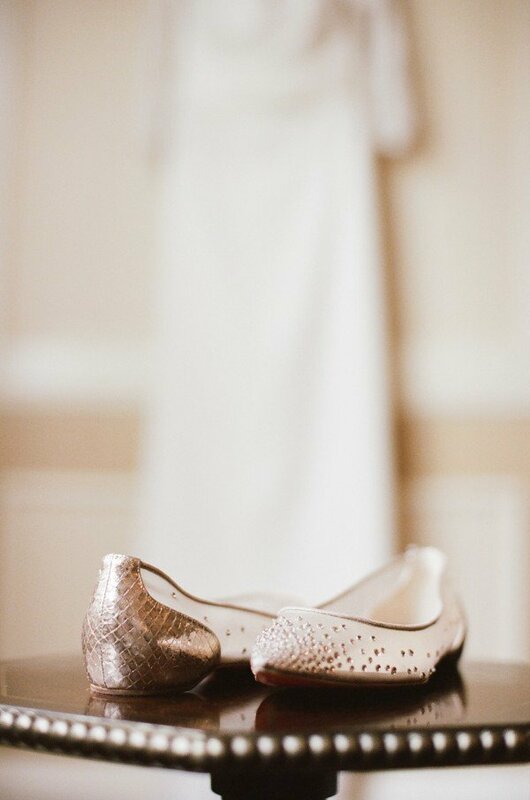 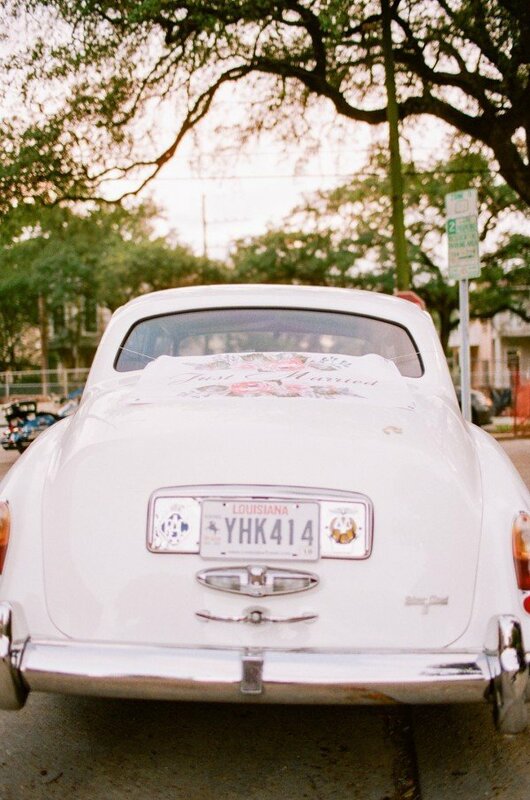 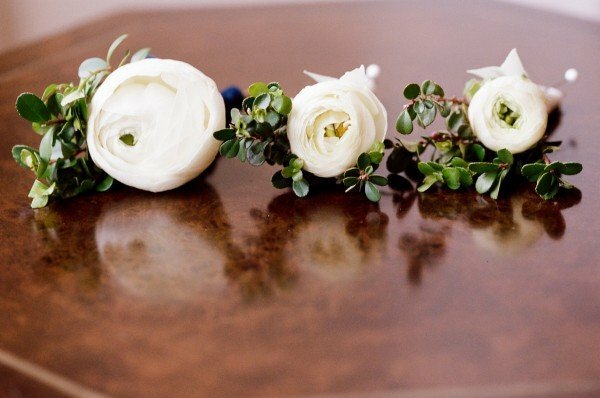 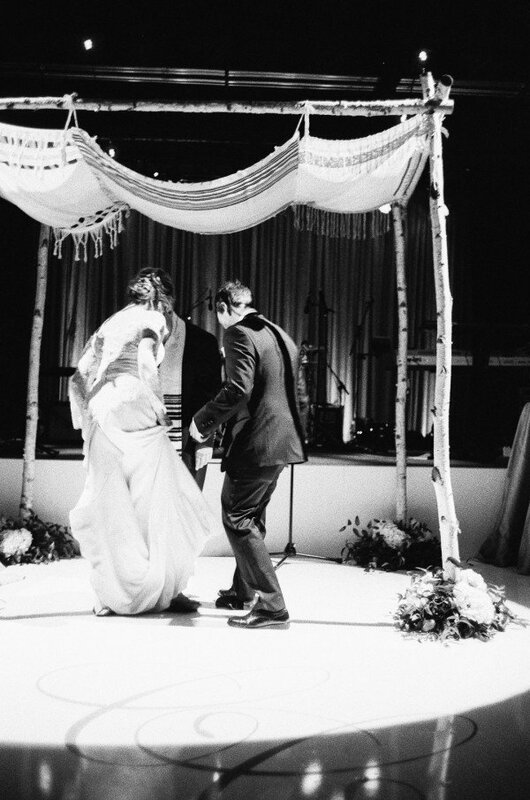 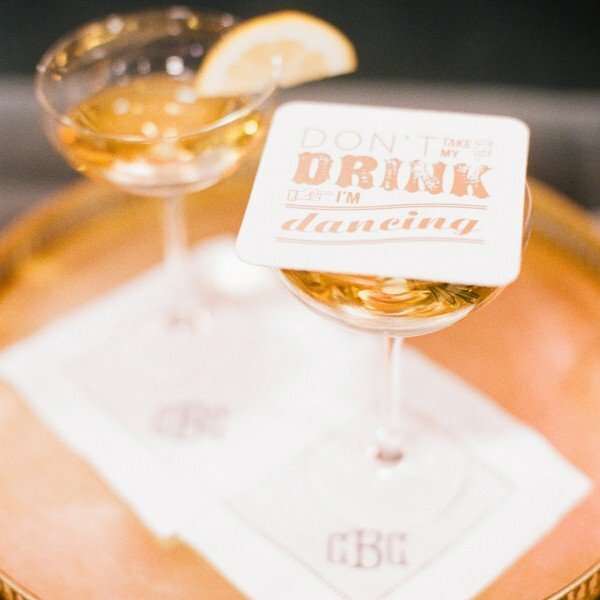 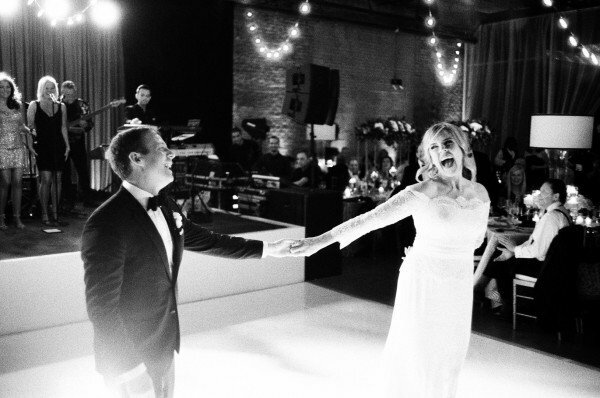 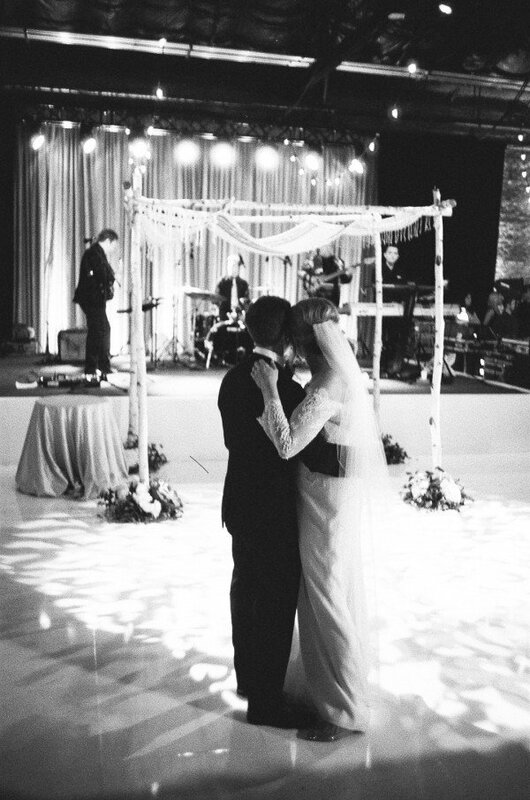 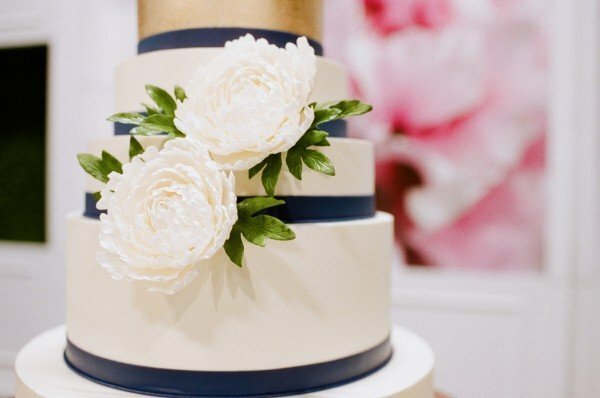 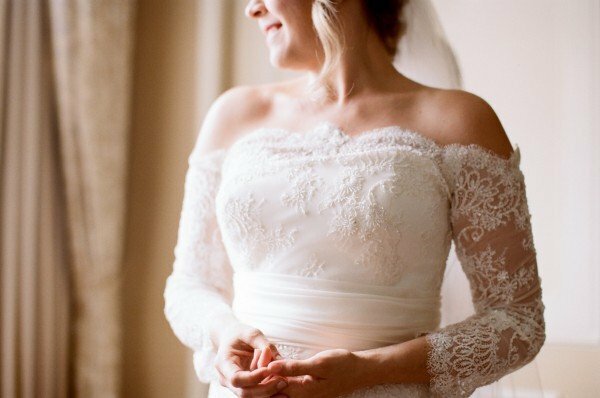 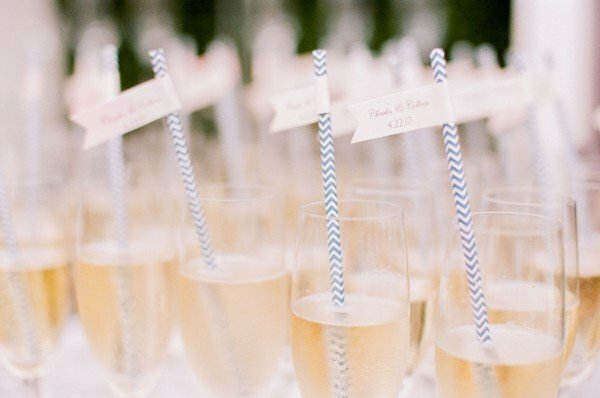 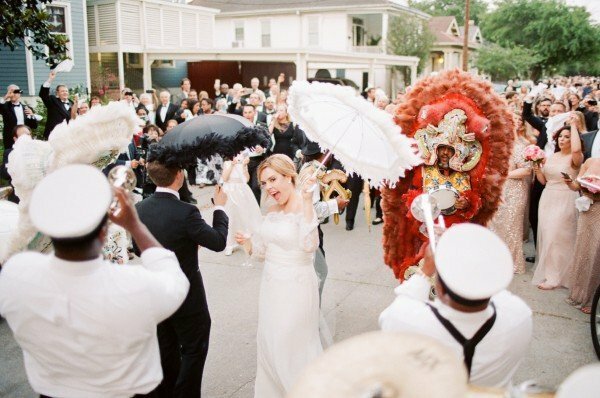 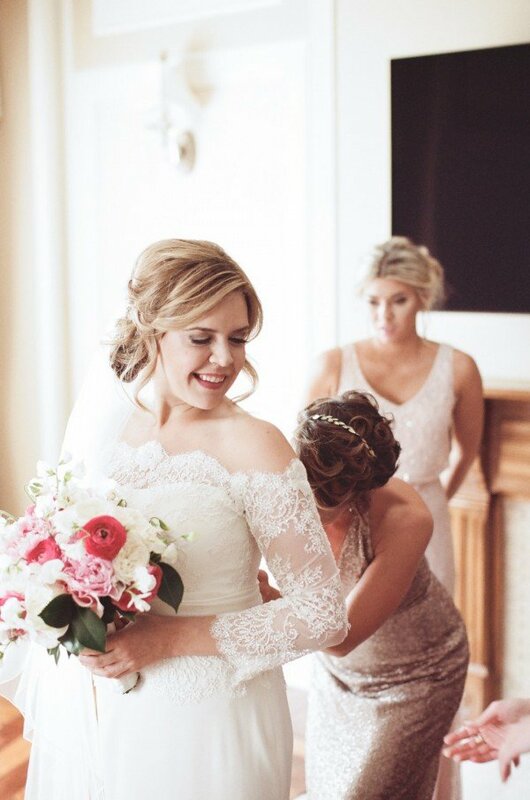 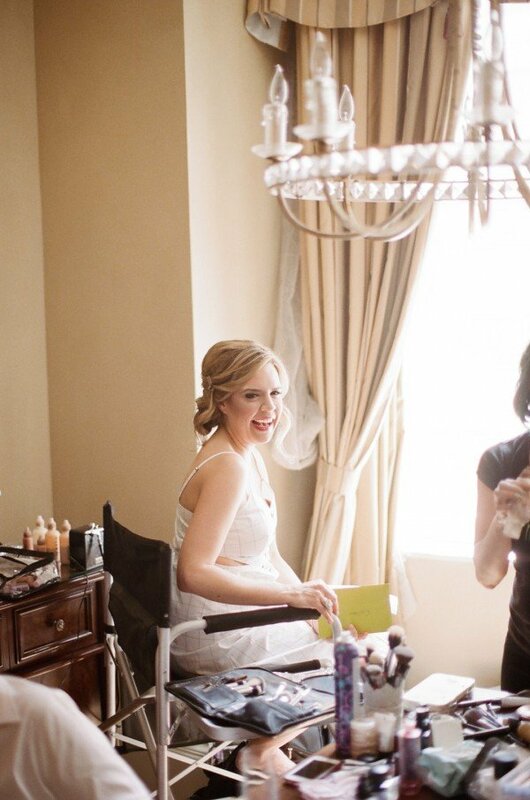 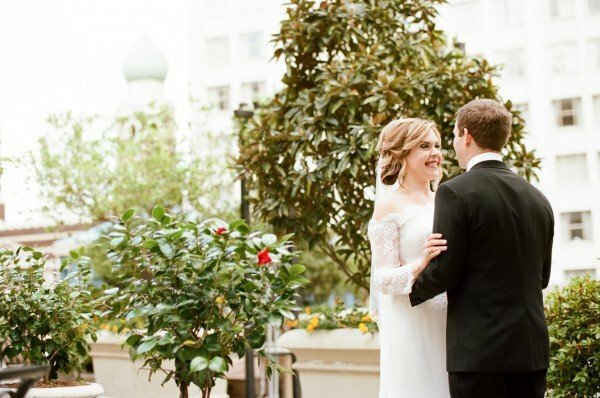 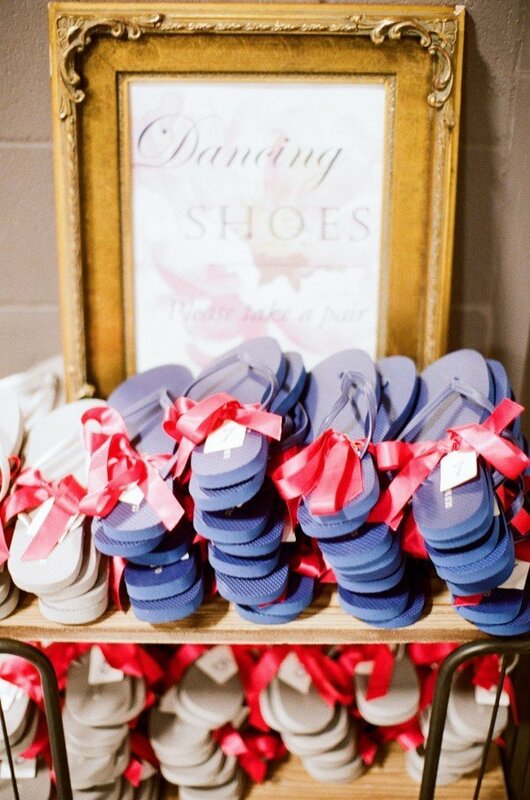 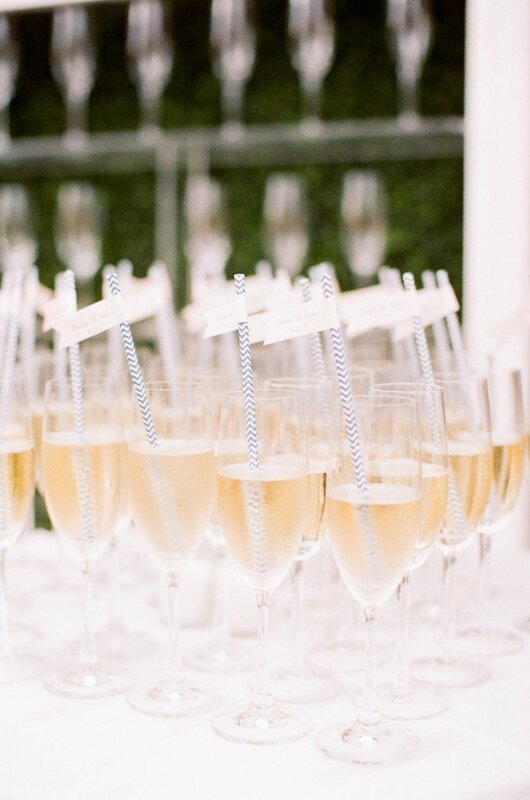 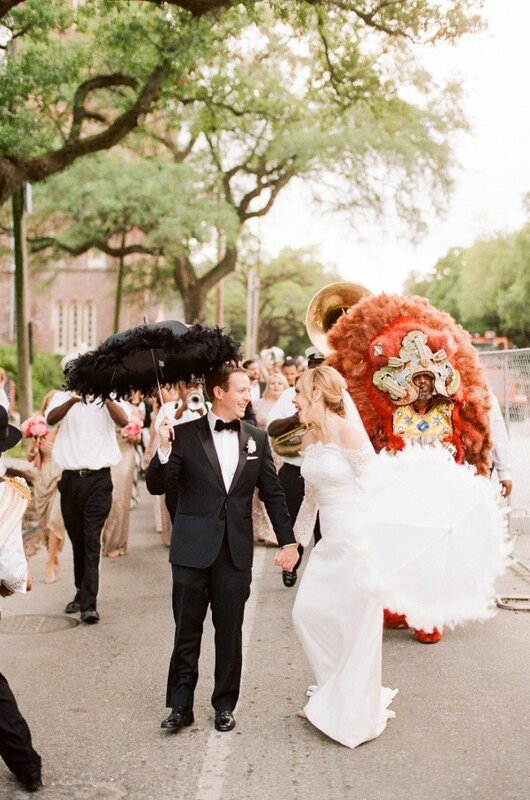 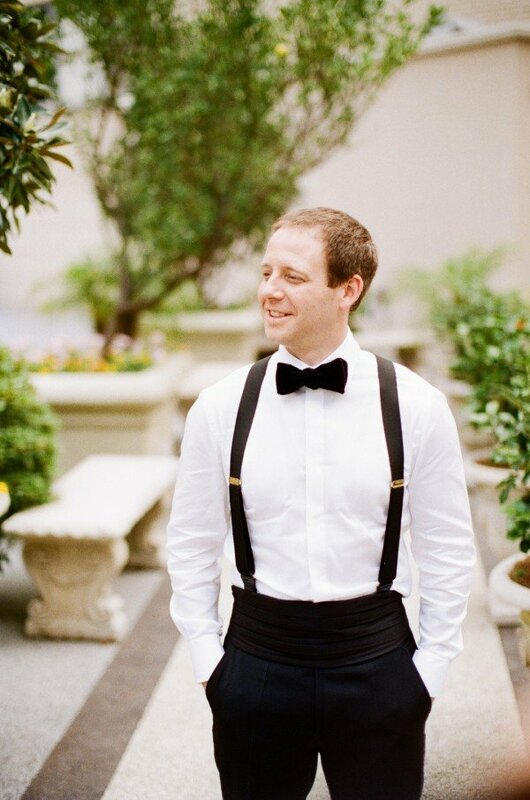 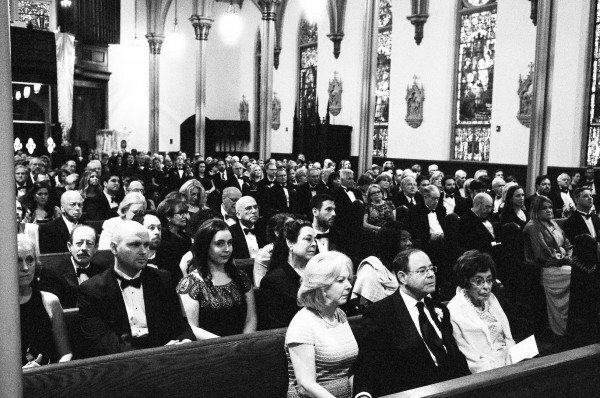 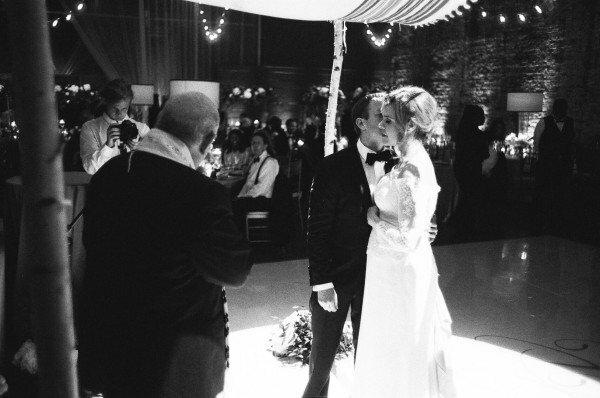 There’s nothing better than an authentic New Orleans wedding, and that’s exactly what Colleen and Charles had, with everything from face painters to not one, but two second lines. 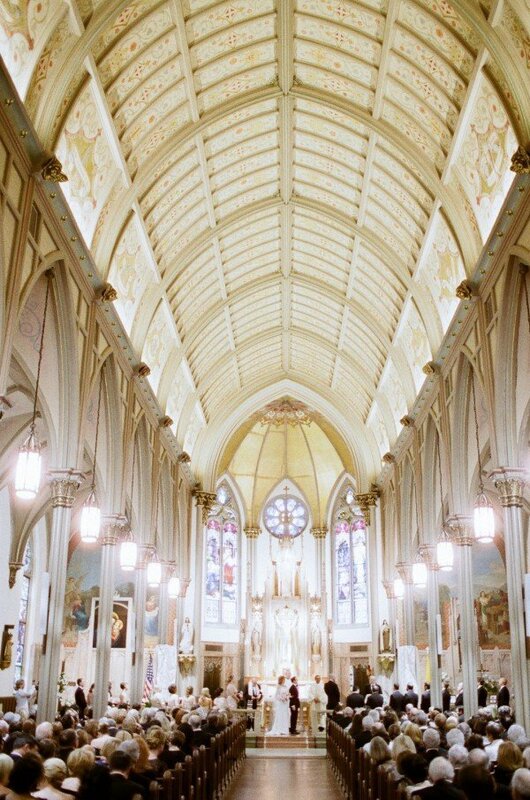 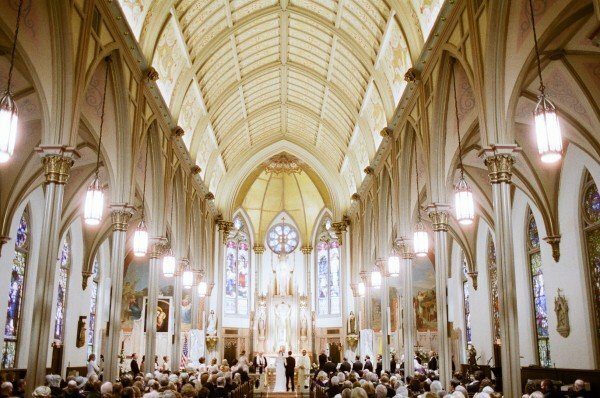 Set against the Our Lady of Good Counsel and the Contemporary Arts Center, the couple incorporated traditional elements, but from a fresh, modern viewpoint. 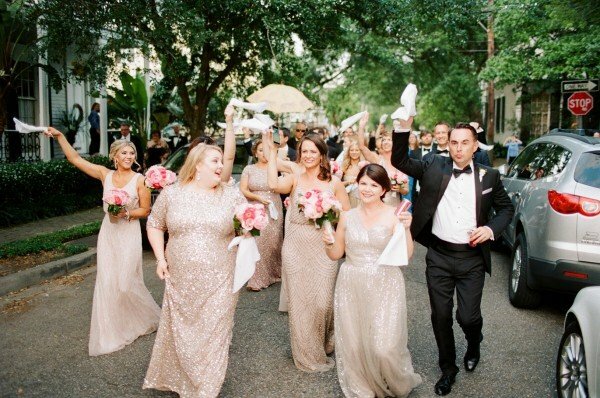 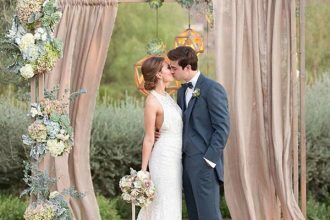 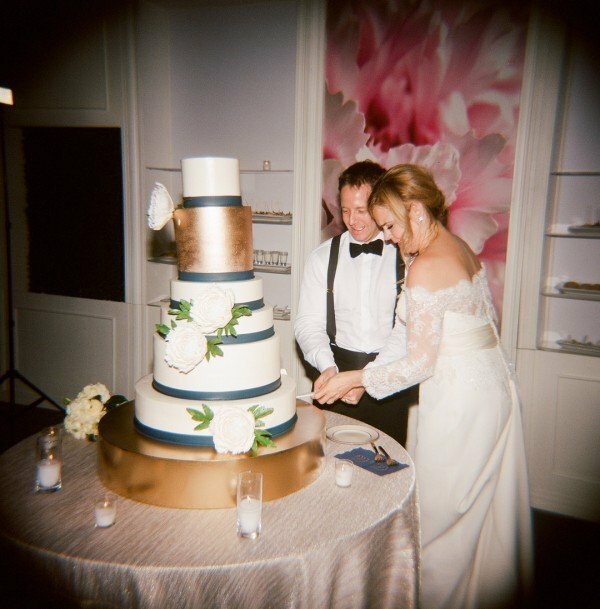 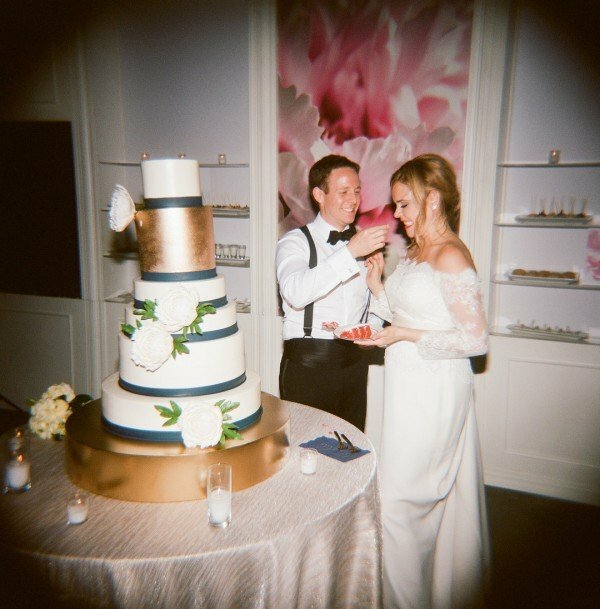 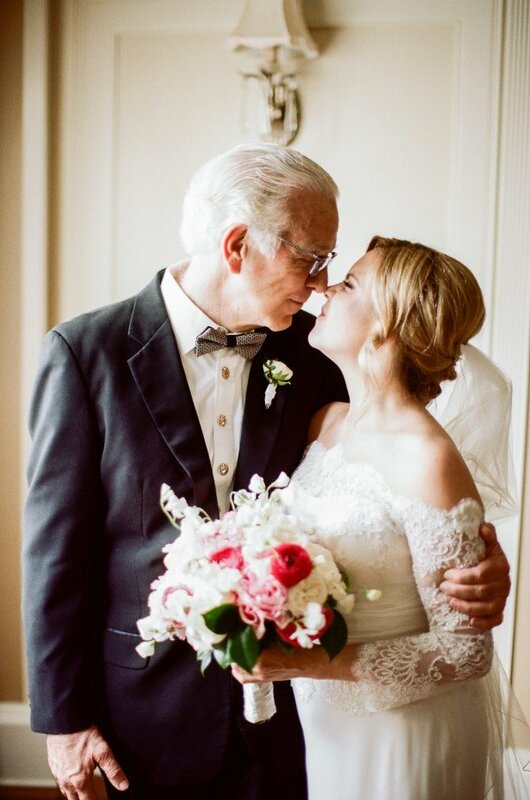 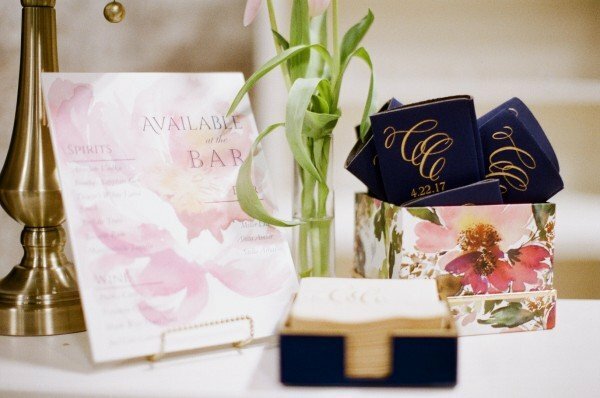 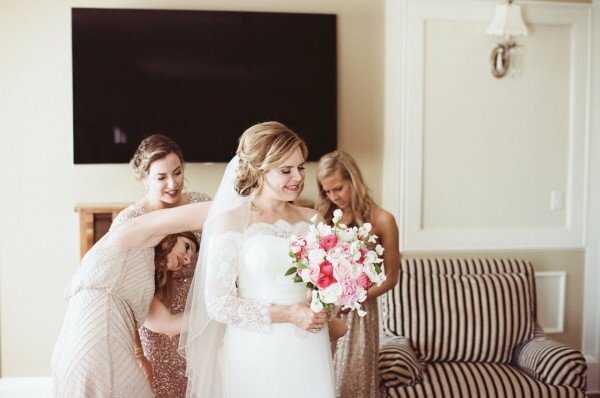 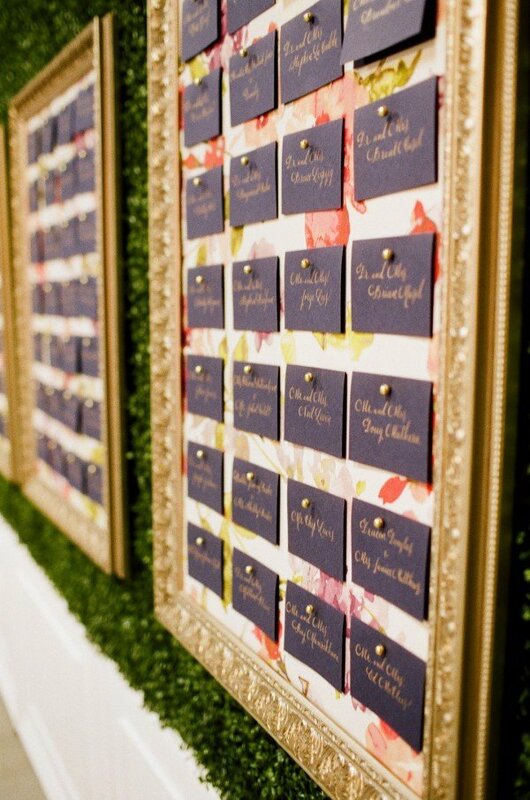 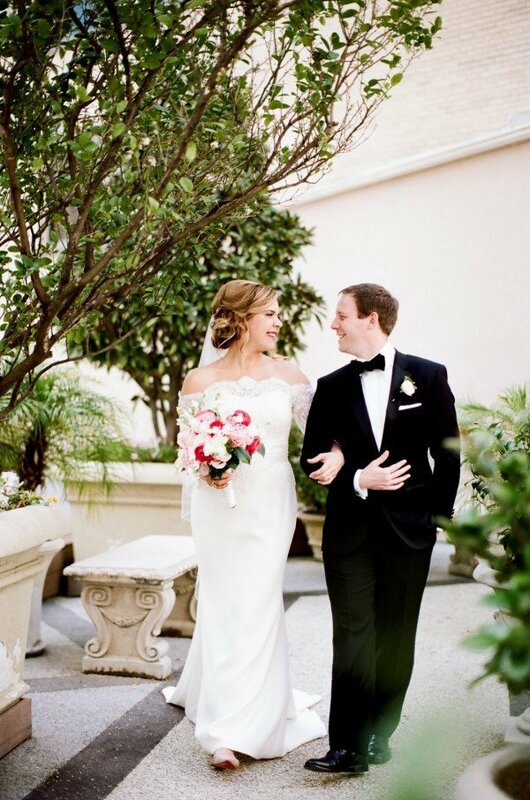 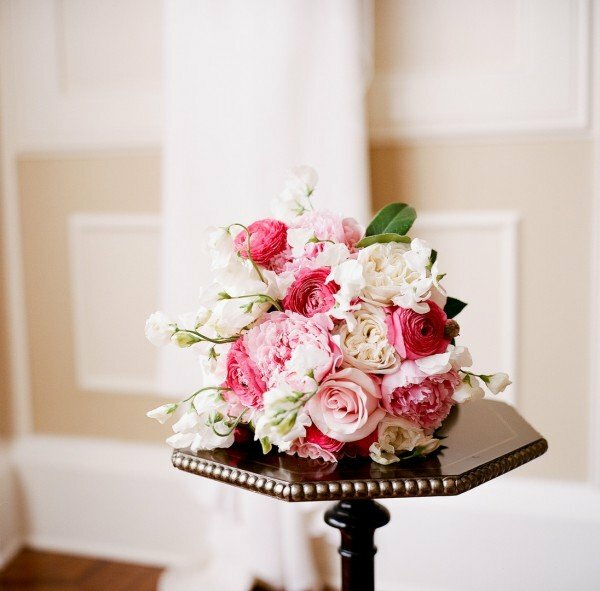 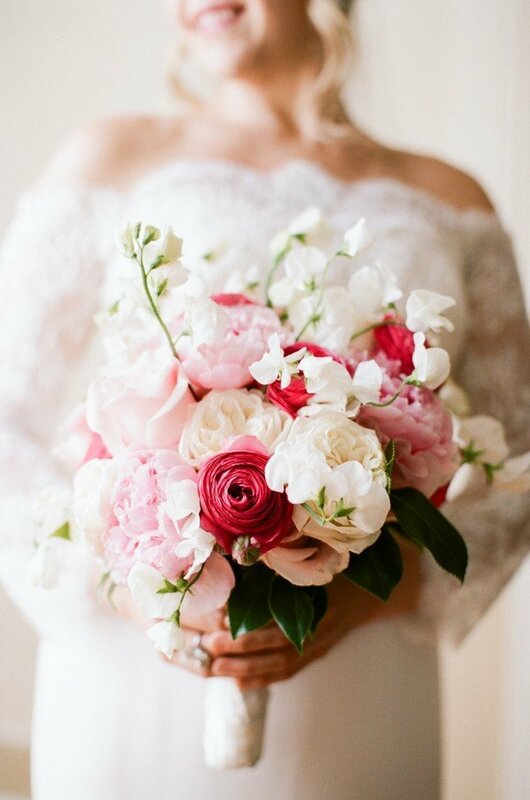 Charles and Colleen’s color palette was a lively combination of magenta, pale pink, peach, and white on a bed of lush greenery and muted golds. 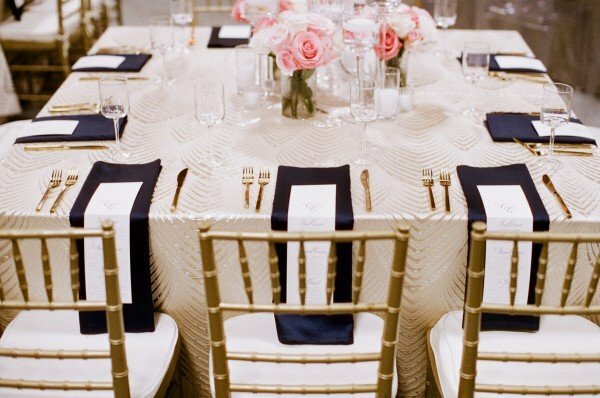 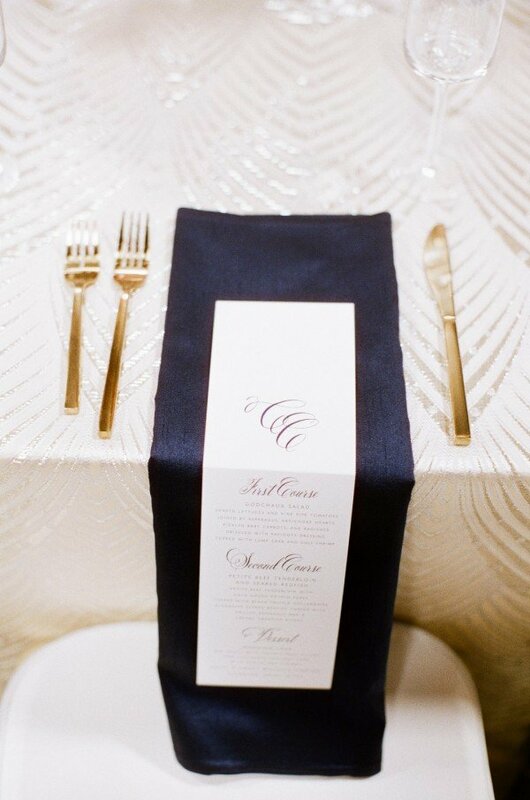 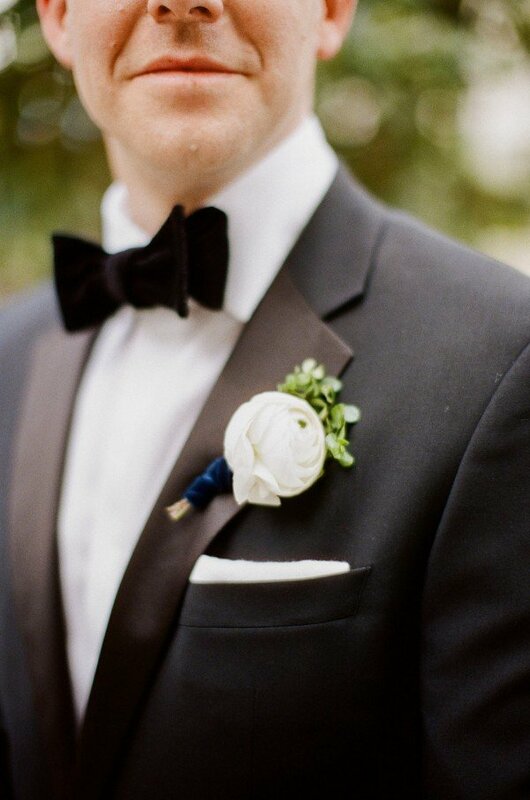 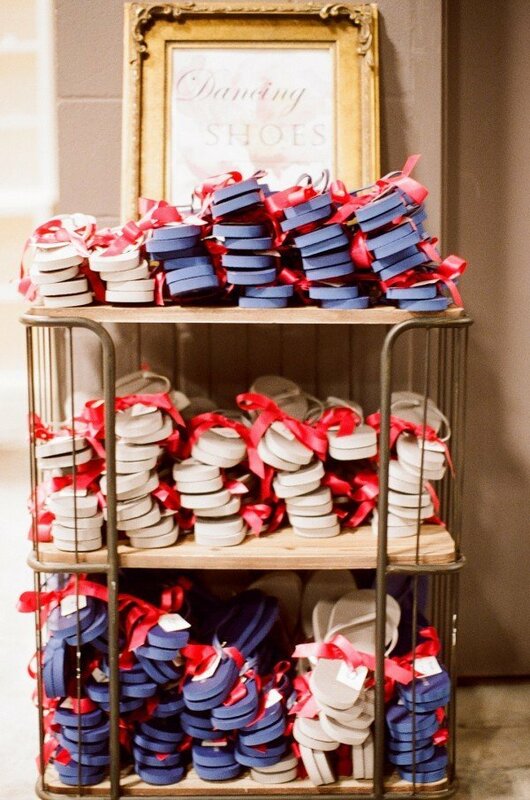 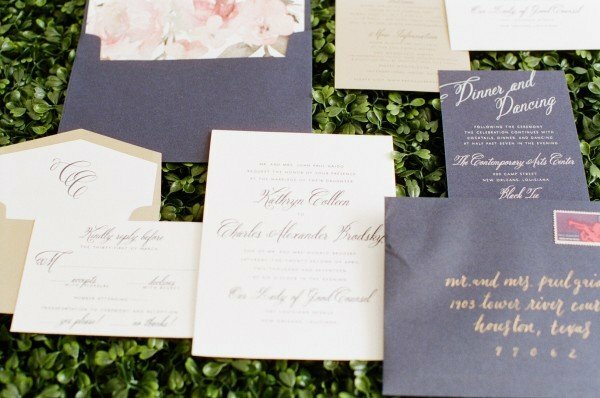 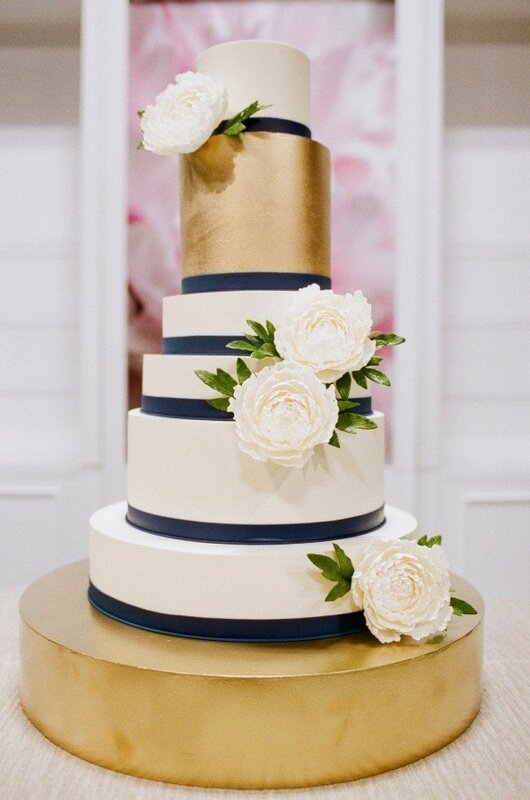 Pops of navy provided a touch of sophistication, while layers of texture gave everything a custom feel. 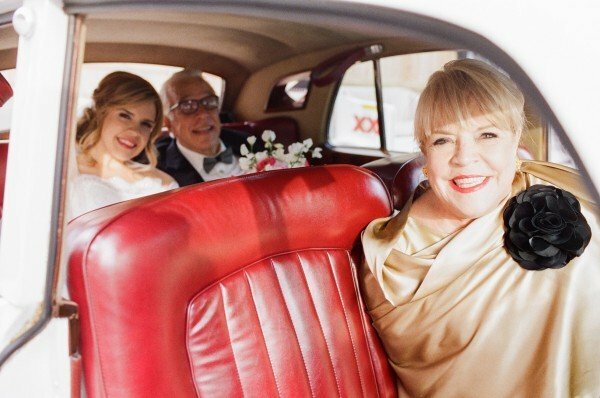 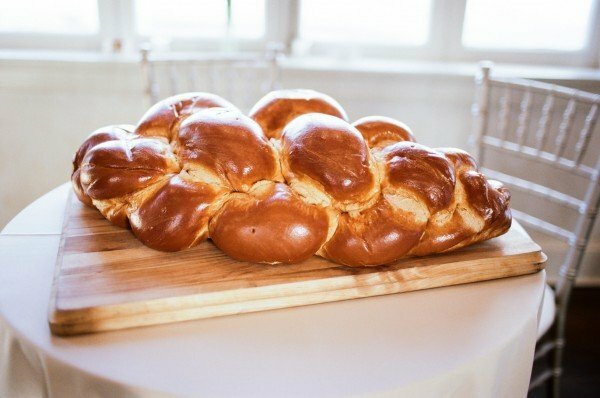 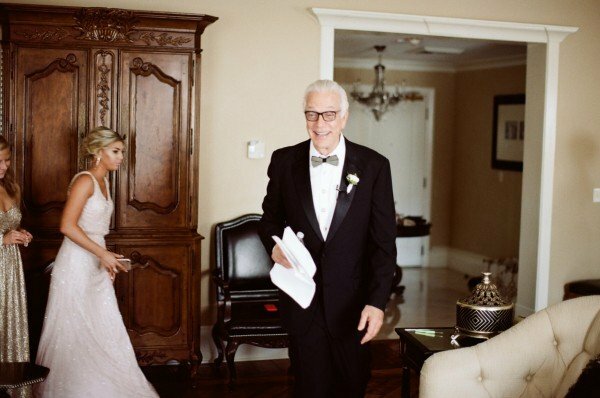 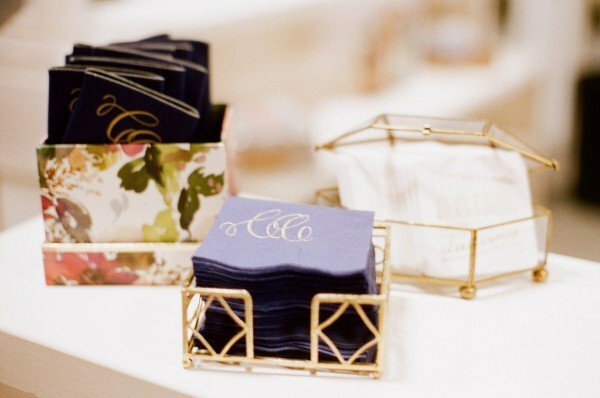 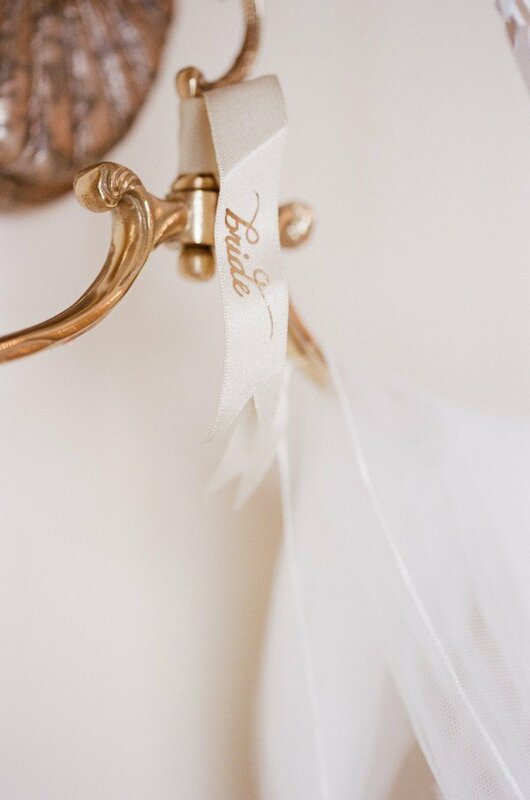 Captured by our fave Arte De Vie, their big day began with a traditional Ketubah signing at the Roosevelt Hotel, before everyone gathered at Our Lady of Good Counsel for the ceremony. 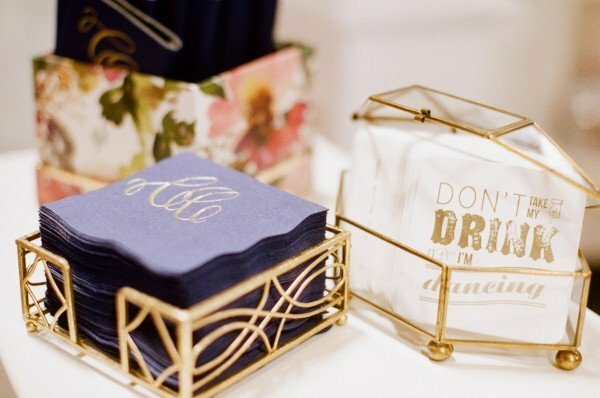 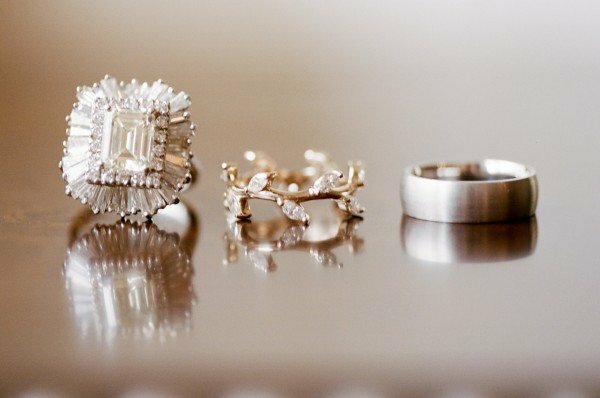 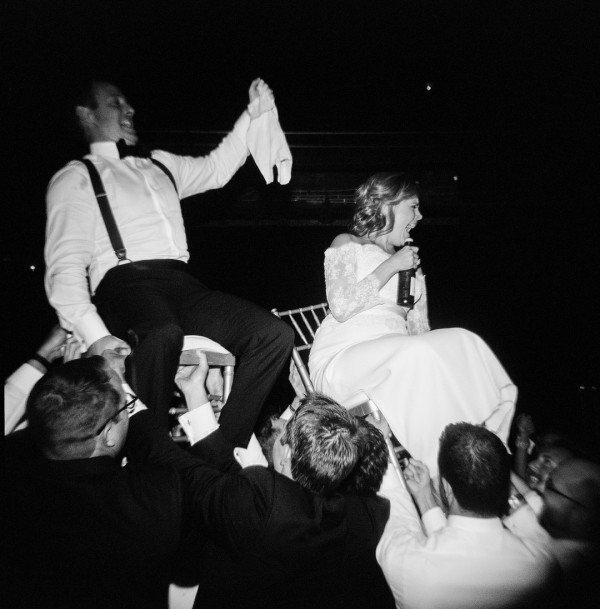 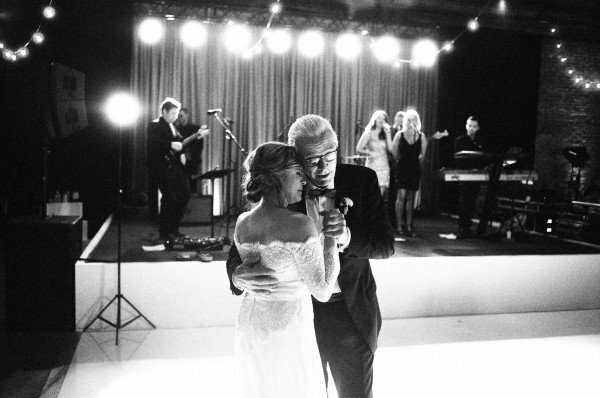 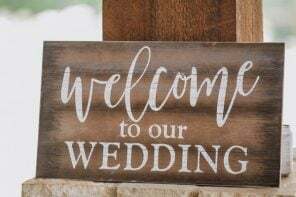 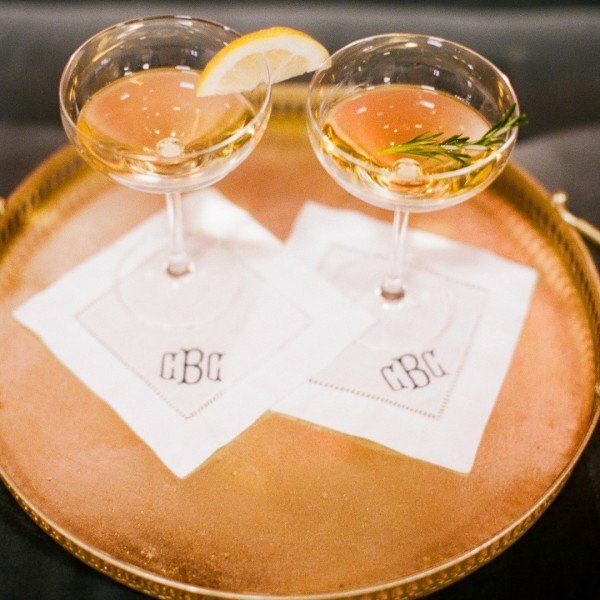 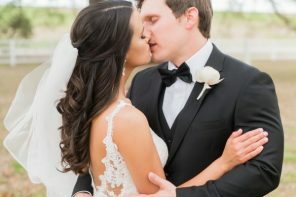 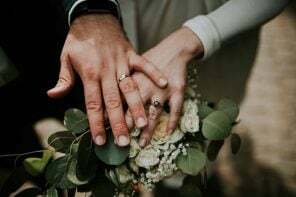 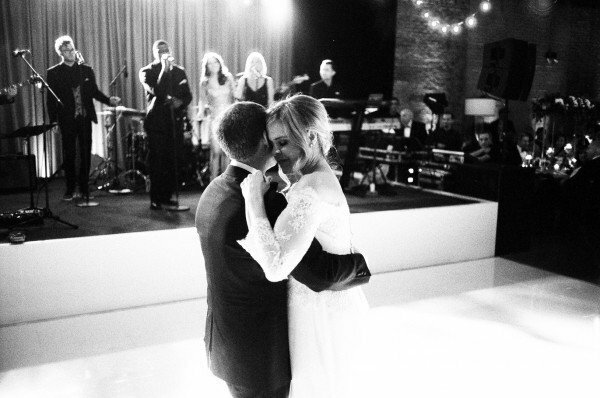 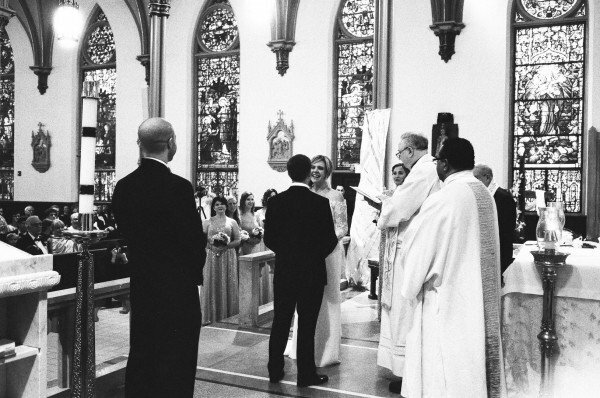 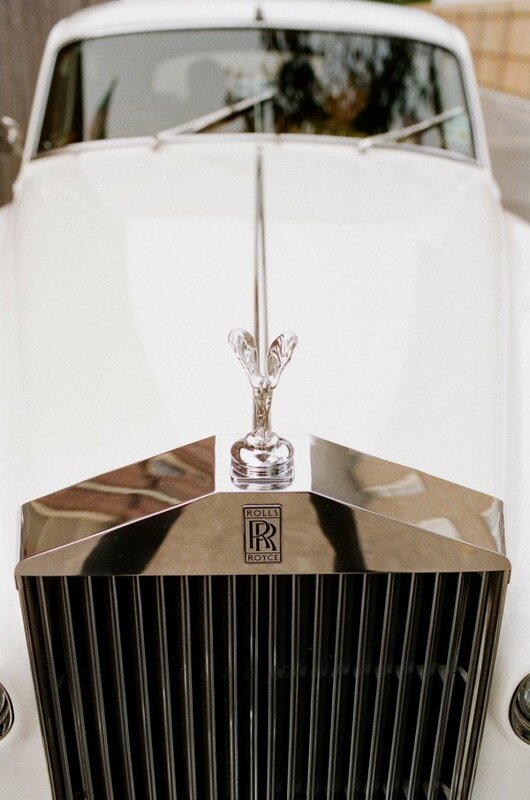 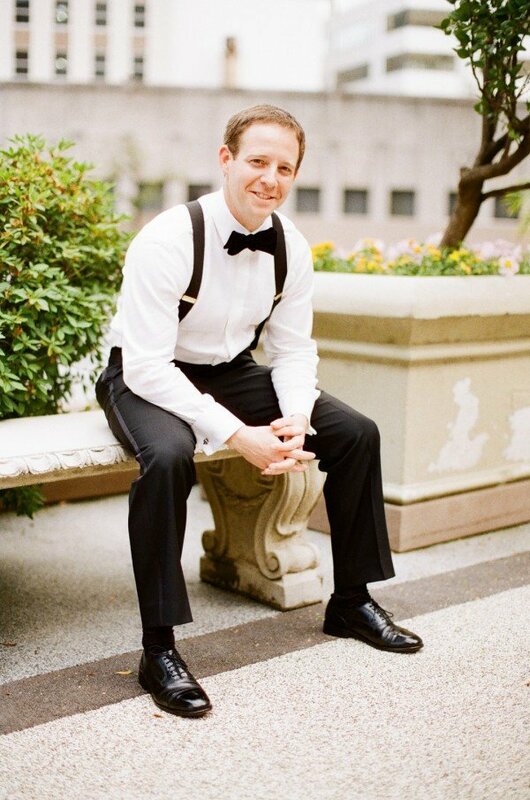 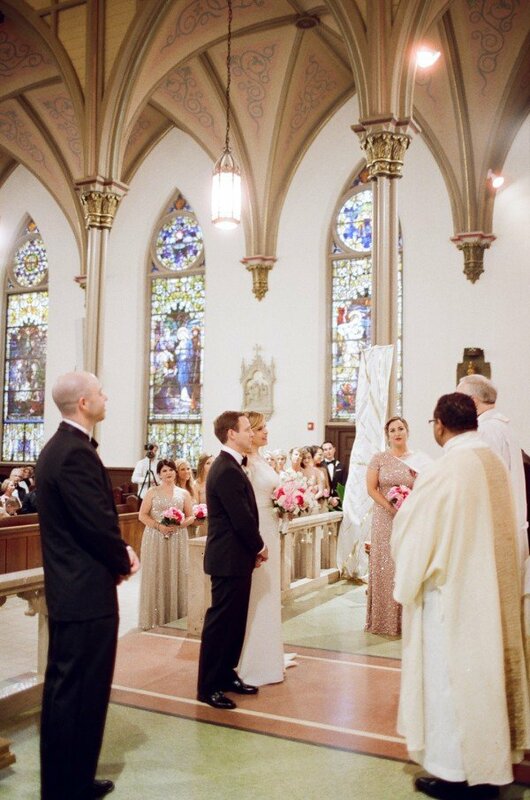 The location not only provided a beautiful backdrop for their vows; but, since they are both attorneys, it was also a witty nod to their professions. 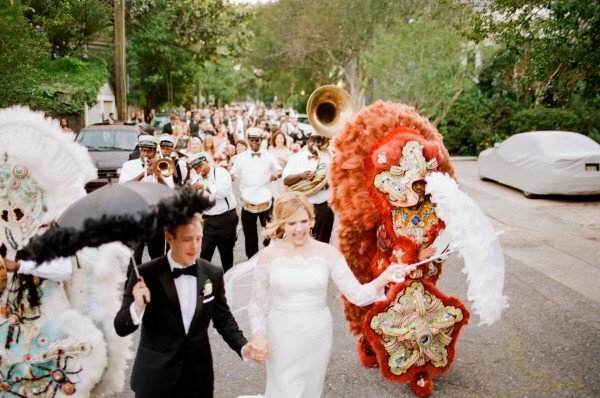 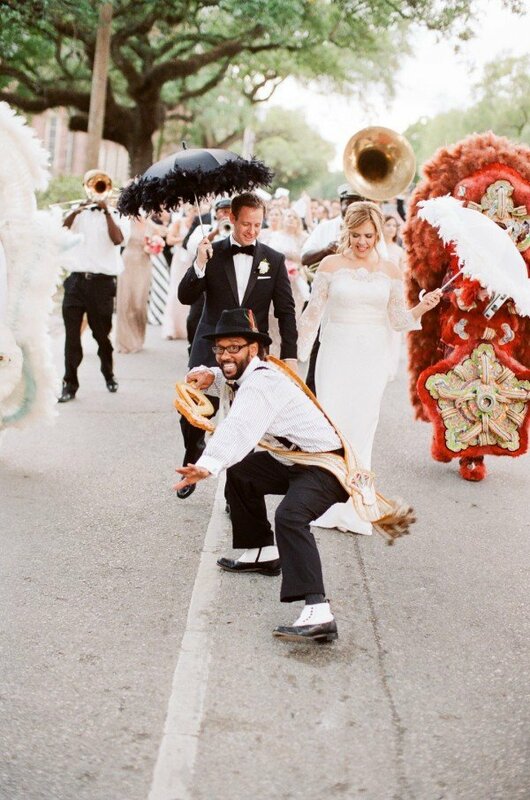 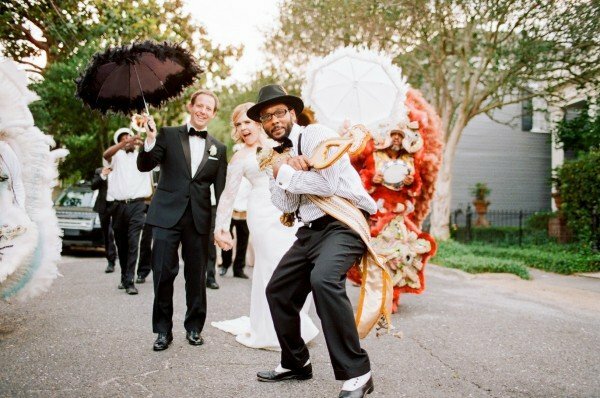 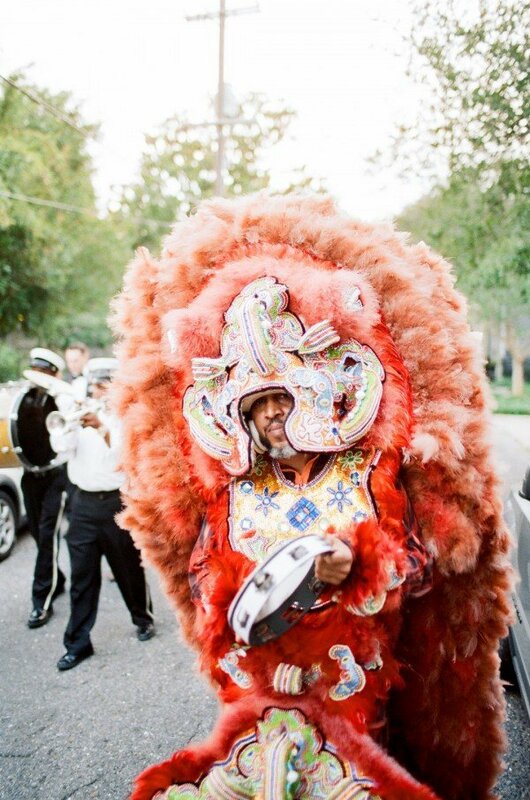 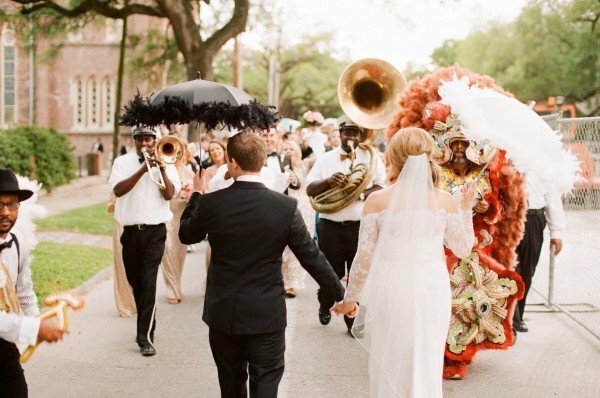 Following the ceremony, Kinfolk Brass Band and the always colorful Mardi Gras Indians led everyone on a lively second line and onto transportation to the reception. 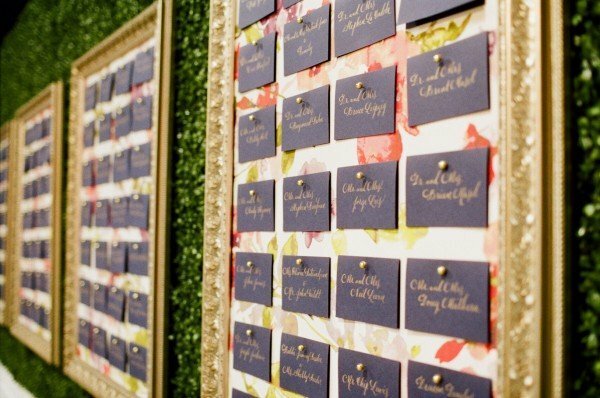 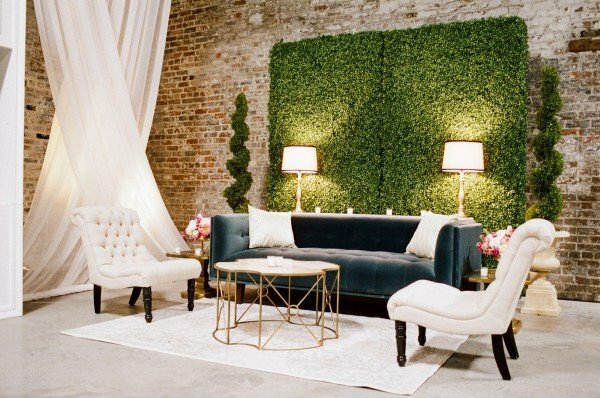 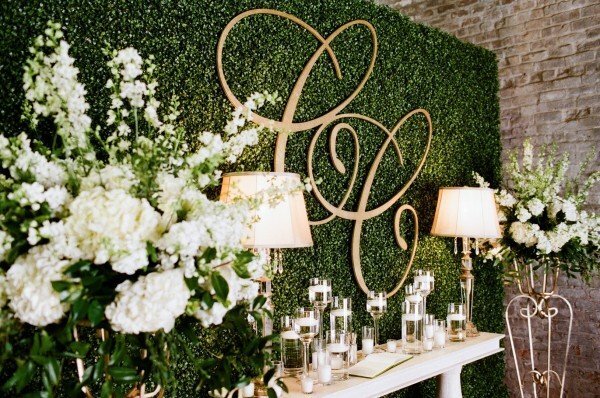 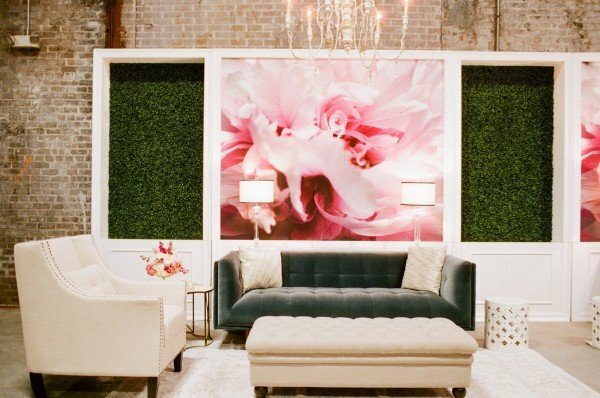 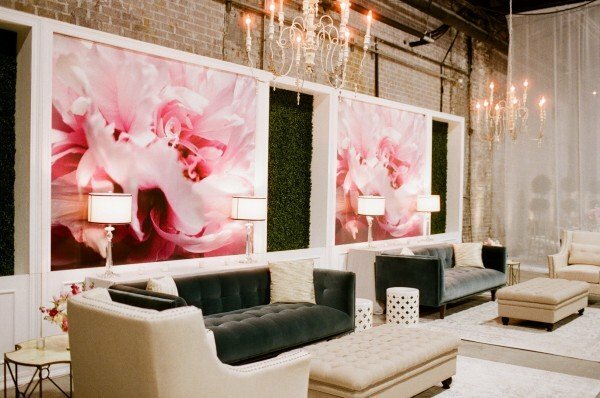 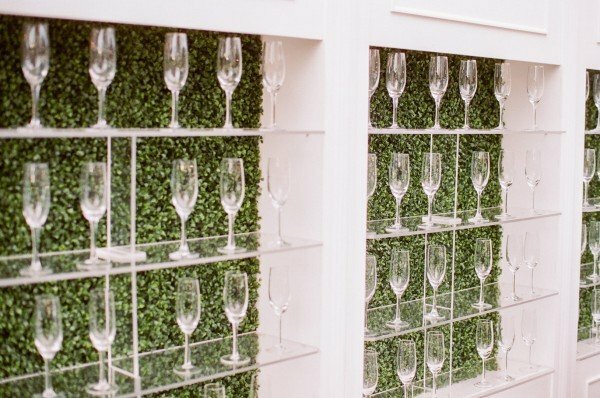 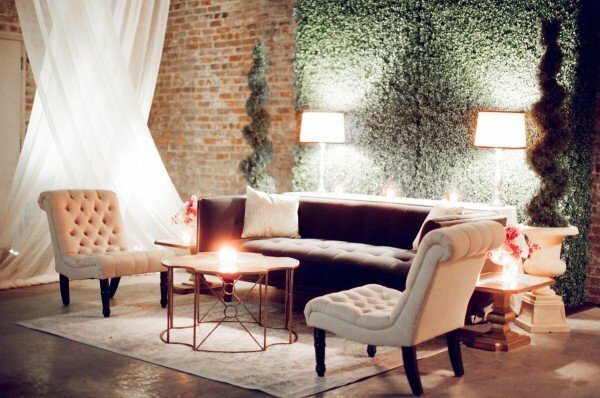 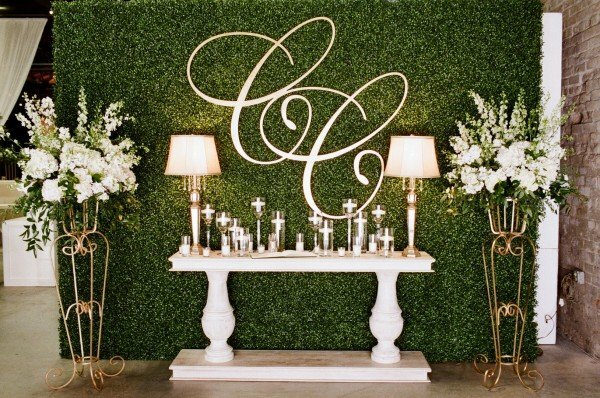 People were greeted with a grand draped entrance to the cocktail area, which featured a modern take on a flower wall: large floral murals mixed with hedge walls behind velvety lounge areas. 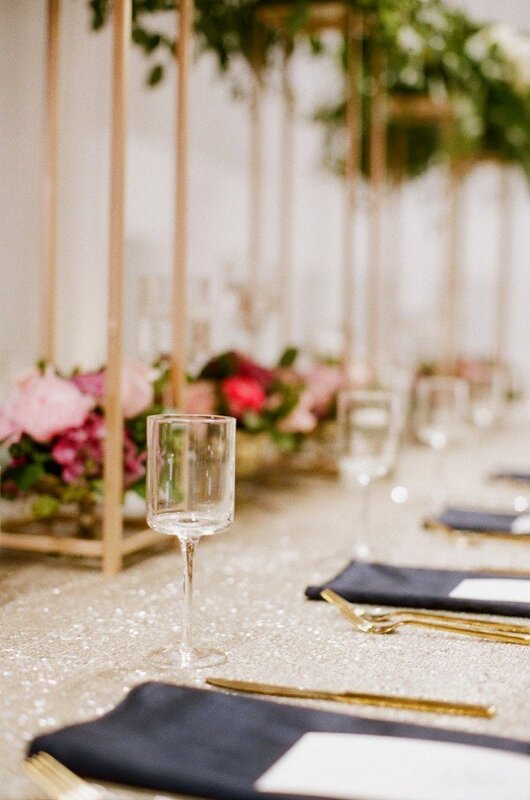 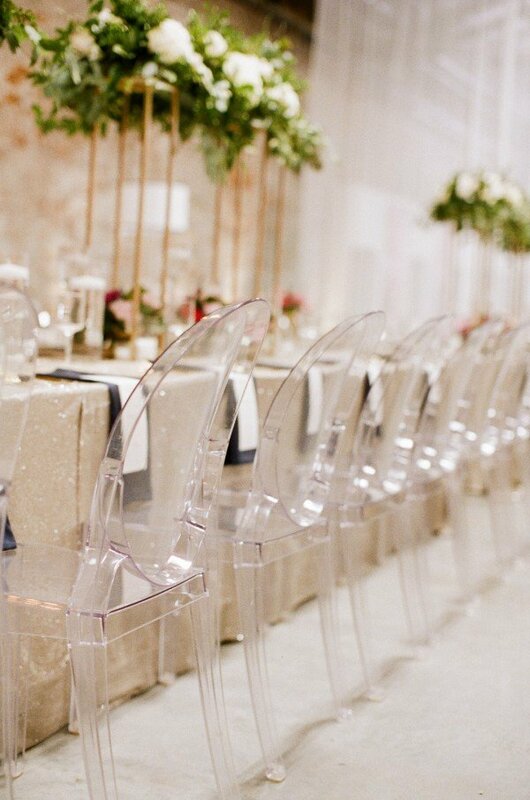 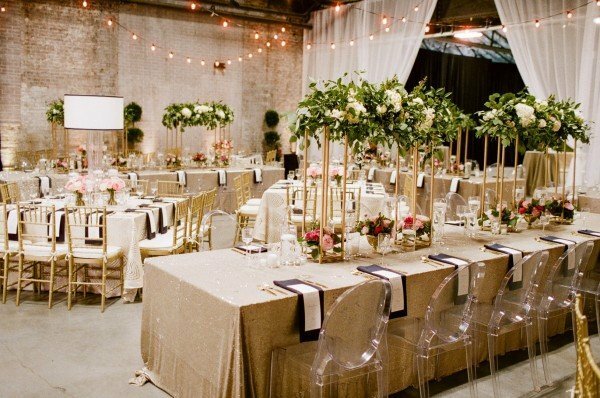 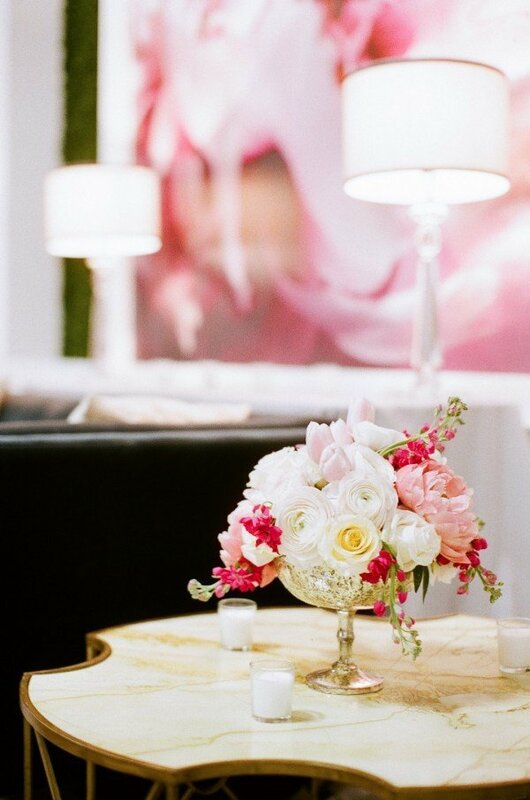 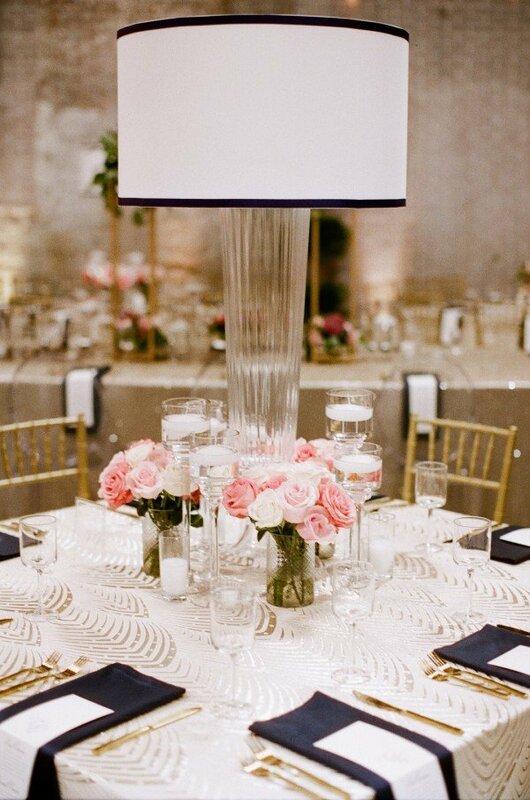 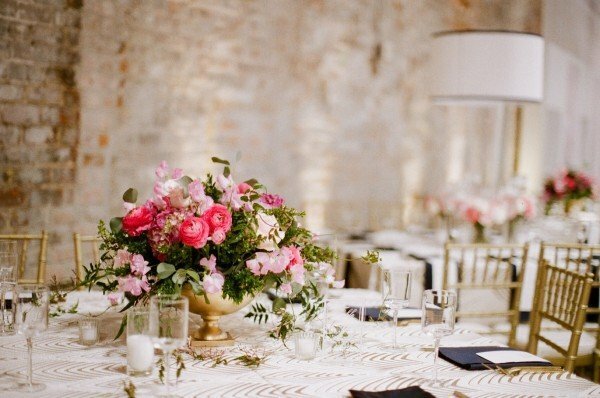 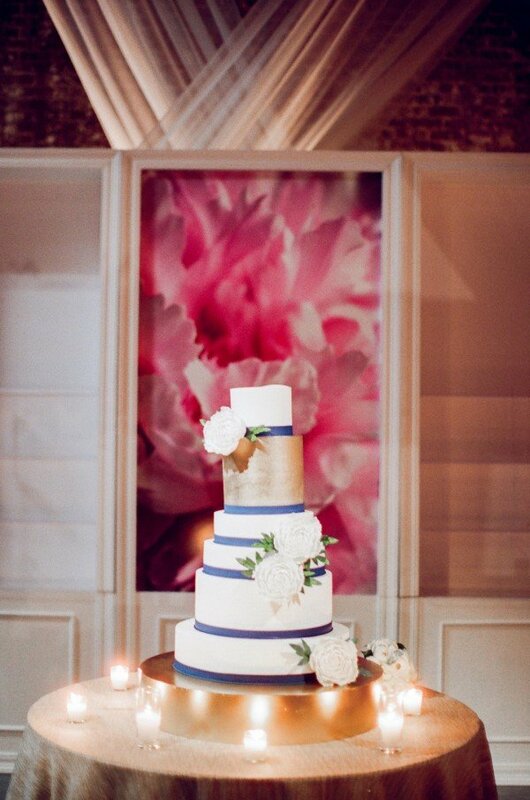 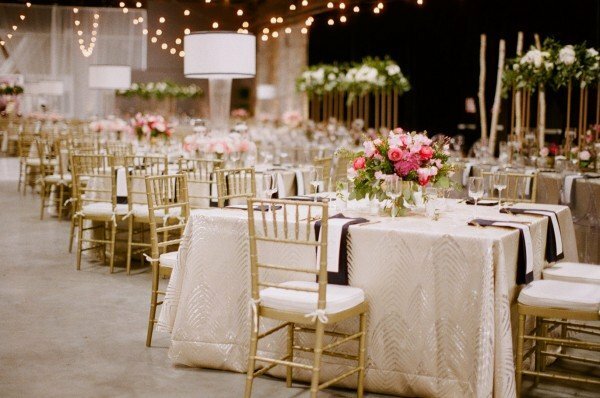 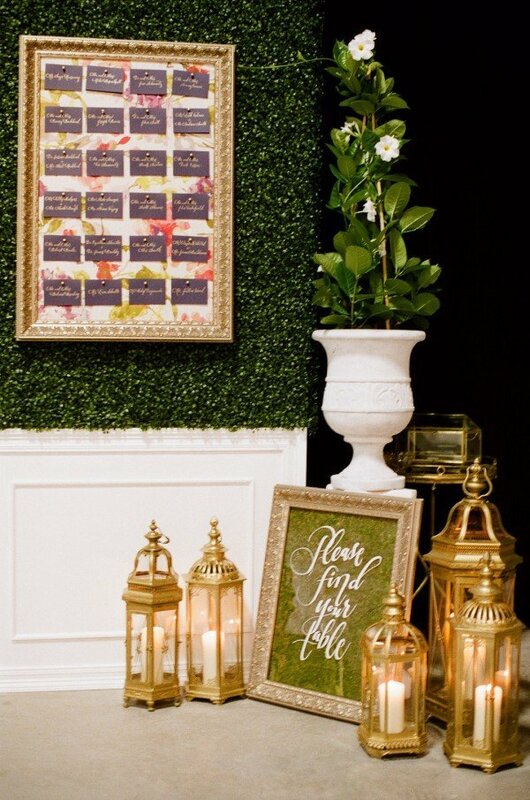 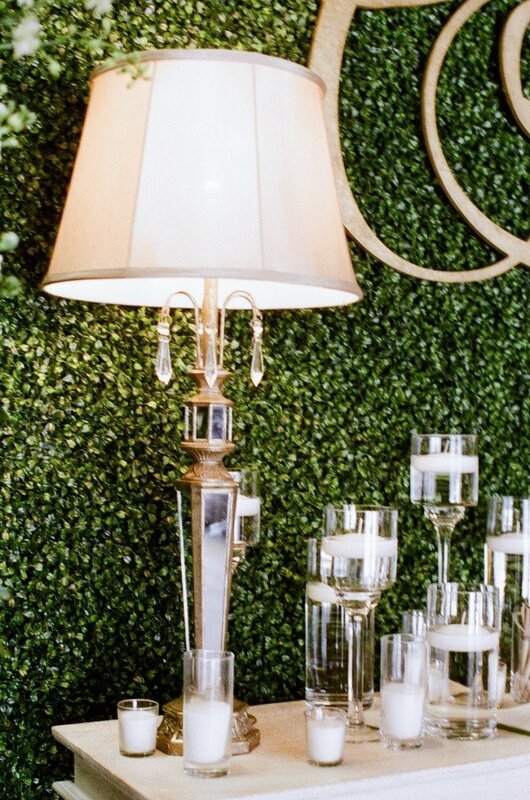 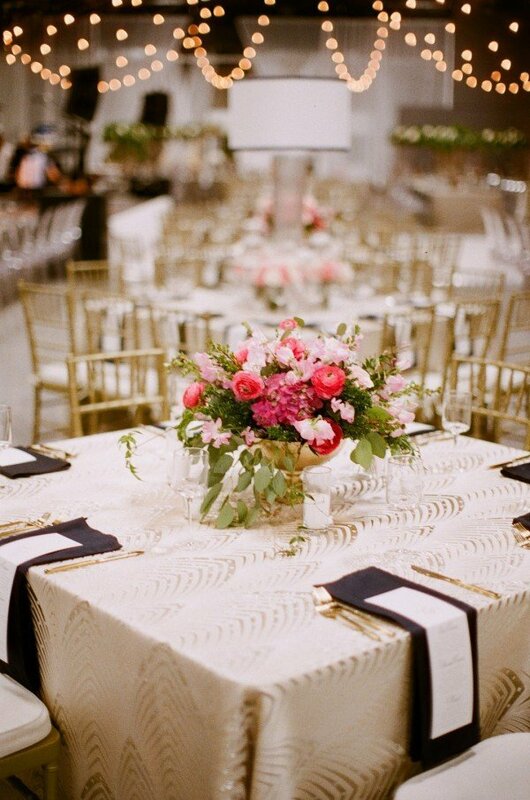 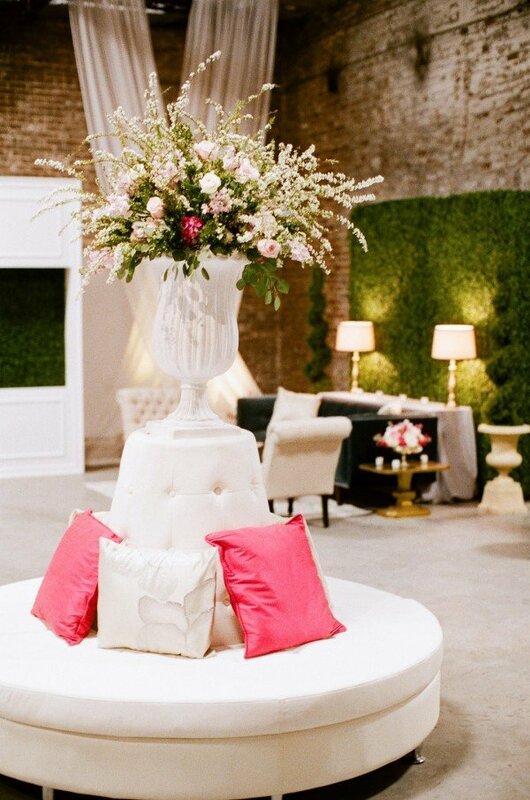 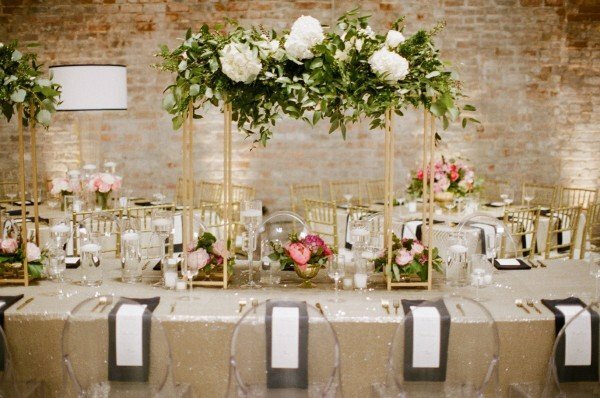 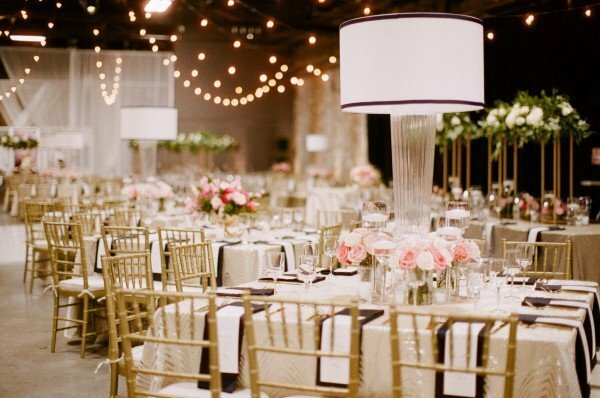 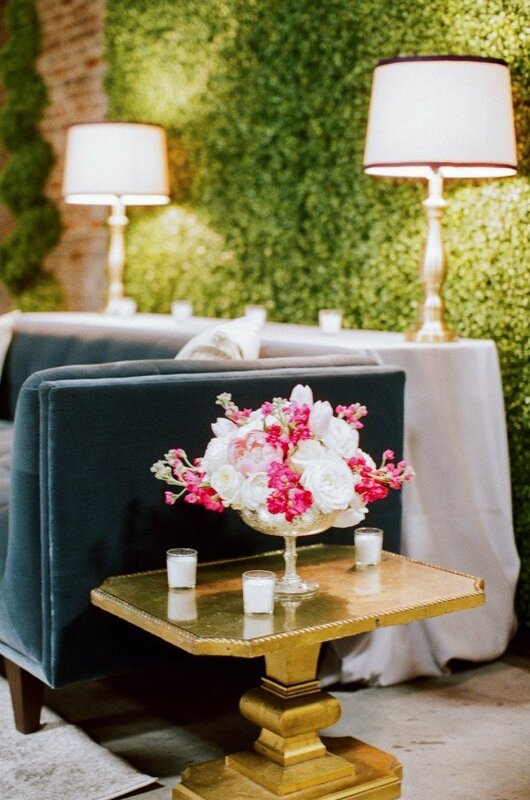 The dining area was also filled with lush towering florals from Bee’s Wedding and Event Floral Design. 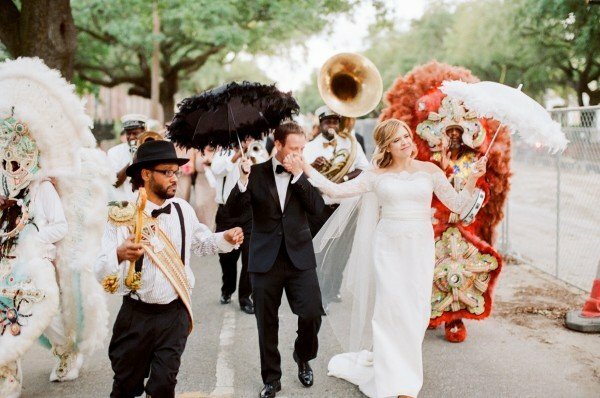 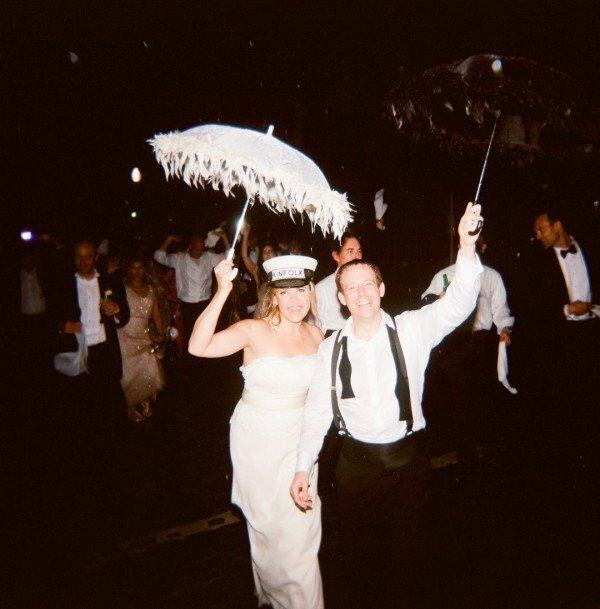 Throughout the evening, guests danced, had their faces painted, were treated to a biscuit bar, and finally, lead in a second, second line in the rain. 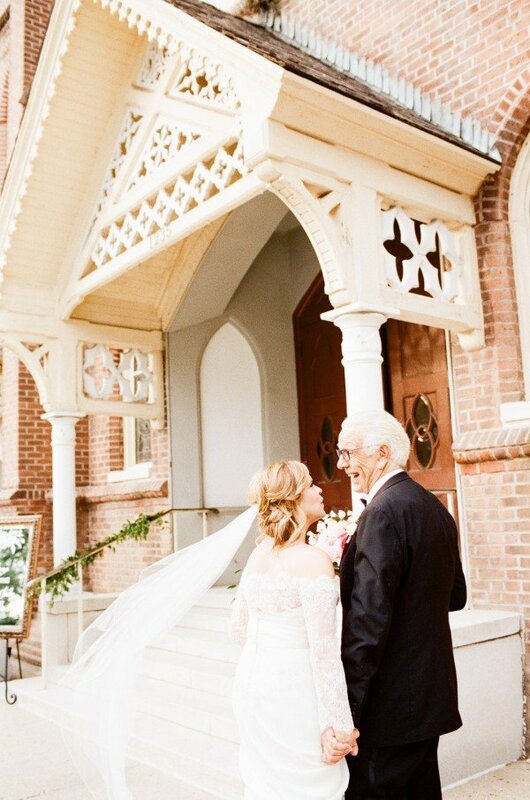 The entire day was truly remarkable.